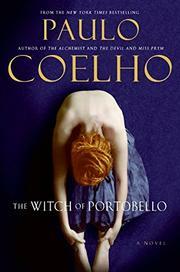 Coelho (The Devil and Miss Prym, 2006, etc.) returns to his favored (and incredibly successful) territory of spiritual questing in this tedious account of a young woman’s ascendancy as a guru. Athena is dead, and now a kind of hagiography is being pieced together to better understand this young woman of influence and mystery. A number of testimonies comprise the portrait of Athena, from her adoptive mother, to disciples, to the manager at the bank where she once worked. But instead of creating a rich and varied character study, the assorted narrators repeat the same facile analysis of the meaning of life. We learn that Athena was a Romanian orphan, adopted by a wealthy Lebanese couple. The two dote on their daughter, and turn a blind eye to her youthful visions and prophesies. When Beirut becomes uninhabitable, the family moves to London where Athena attends engineering school. Feeling unfulfilled she forces her student boyfriend into marriage so she can have a child to fill up the vast empty space in her soul; she flits from one endeavor to another to try to fill this unnamable void. She and her husband divorce and she takes up a kind of dervish-style dancing (which she shares with her coworkers at the bank—doubling all of their productivity levels), then moves to Dubai and learns calligraphy from a Bedouin, hoping the patience needed will fix her restlessness. When she goes to Romania to find her birth mother (she’s sure this will help her gain a truer sense of herself), she meets a Scottish woman who becomes her teacher in the search for the universal Mother, a kind of New Age paganism that promises a healing path out of the chaos of modern living. When Athena moves back to London, her popularity (and skill in prophesy) increases, and she develops a following—as well as detractors: Christians who accuse her of Satanism and being a witch. At turns didactic and colorless, Coelho’s narrative captures nothing of the wonder and potential beauty of a life devoted to the spirit—instead, Athena seems little more than a self-indulgent girl. A disappointing rehash of pretty conventional spirituality.